DEAR SUN SPOTS: I have heard about cannabis oil products that can help with anxiety and insomnia. I have both. I have been prescribed five different antidepressants that have not worked well. 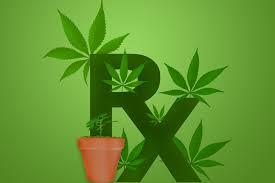 I asked my doctors about cannabis and they do not believe in it as a remedy. Are there any doctors or an organization in the Lewiston-Auburn area who could help me? I feel as if I’m running out of options. Thank you. ANSWER: The kind people at Relief Clinic, LLC at 23 Cross St. in Auburn can help you by providing pain relief options including alternative medicine, massage therapy, acupuncture and medical marijuana. After an evaluation, you can be issued a medical card for obtaining cannabis. If your symptoms are related to PTSD or you simply have nausea or muscle spasms, you don’t even need a medical referral or prescription. The clinic is open from 10:30 a.m. to 3:30 p.m. Mondays and Fridays; noon to 5:40 p.m. Wednesdays; and 11 a.m. to 3 p.m. Saturdays. The practitioners even provide home visits if necessary. You can reach the clinic at 207-241-2815 or email them at [email protected] For more information, see their website at reliefclinicme.com. There’s a form you can fill out to get started on your paperwork. DEAR SUN SPOTS: I hope you know where I can get a stamp collection appraised. I know it’s not as big a hobby as it was years ago, but I still would like to know if any of them are rare and/or valuable. I’m willing to travel anywhere in Maine, New Hampshire or Massachusetts. Are there any trustworthy websites that could guide me on what to look for on the stamp that makes it rare and/or valuable? ANSWER: It turns out you don’t have to go too far to have your stamps appraised. I spoke with Norman at Compass Coins & Jewelry at 199 Lisbon St. in Lewiston and he said he can help you. The number is 207-784-2885. The shop is open from 10 a.m. to 4 p.m. Monday through Friday. DEAR SUN SPOTS: I have a framed tapestry that has been in my family for at least 75 years. I would like to clean it myself or have it cleaned. Any ideas would be great! ANSWER: I recommend that you call the experts at A. E. Runge Jr. Oriental Rugs at 108 Main St. in Yarmouth. You can contact them at 207-846-9000 or email them at [email protected] There is great information on their website at rungerugs.com. DEAR SUN SPOTS: I’ve been away this past winter and while watching the local news on WCSH TV Channel 6, I noticed that Chris Rose is no longer there. Has he moved on? Best of luck to Chris, a class act who we all respected and depended on.